Michael Lombardi is a bear. Canadian-born, Lombardi has been dishing out investment advice for decades. He is getting nervous. And so should pension fund managers trying to make up for lost time. According to Buffett’s favorite valuation metric, stocks are significantly overvalued. The Warren Buffett Indicator compares the total price of all publicly traded companies to gross domestic product (GDP). It is a great tool to correlate stocks to valuations. After all, stocks are a reflection of the broader economy, and there should be some sort of link between economic output and earnings. On top of that, this should also be reflected in stocks and their valuations, and help investors decide whether they should buy, sell, or wait. By all accounts, Warren Buffett is waiting. A reading of 100% suggests that U.S. stocks are fairly valued. The higher the Warren Buffet Indicator is over 100%, the more overvalued the stock market. The market-cap-to-GDP ratio is currently at 127.1%. Not content with scaring his subscribers with this, Lombardi looked at two other indicators: the CAPE ratio, and the Wilshire 5000/market cap index. The Case-Shiller adjusted price-to-earnings ratio for the S&P 500 Index shows the market to be overpriced by 75 percent. The Wilshire/market cap index? It just touched an all-time high. And, of course, there’s the master himself. At the end of the third quarter, Berkshire Hathaway reported holding $85 billion in cash. 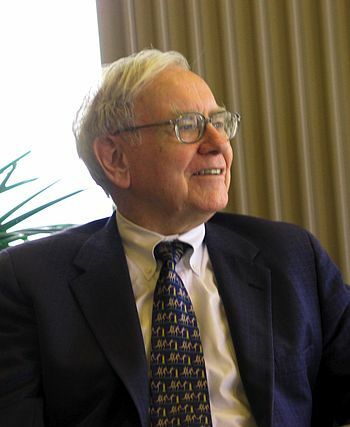 According to Lombardi the only opportunity that Buffett sees, according to his own rules, is Berkshire Hathaway stock! This is putting pension fund managers who have $2.5 trillion-plus in state and local retirement plans in a bind. According to Pew Research, they should have $4 trillion. And last year, that gap widened by 17 percent, despite the stock market’s performance and some states’ increased funding. Pew looked at 230 state and local pension plans, and the numbers are daunting. Only one state – South Dakota – has fully funded its pension liabilities. The next four – Wisconsin, New York, North Carolina, and Tennessee – are close, averaging 97 percent funded. The really bad news is for the bottom five: Pennsylvania (55.8%), Connecticut (49.4%), Illinois (40.2R), Kentucky (37.8%), and, in last place, New Jersey, at 37.5%. It gets worse: each of those bottom five has seen their liability shortfalls increase by between two and five percent over the last two years. Up until 2001 pension plan liabilities and assets were closely matched to each other. But following 9/11 the growth in assets failed to keep up with the increasing liabilities. By 2007 the gap was $300 billion. Two years later the gap had widened to nearly $800 billion. Once behind, it’s nearly impossible to catch up. There are numerous options, none of them attractive. One is to change the plan design so that the investment risk falls on the beneficiaries and not on the states or cities offering the plans. Another is to put in place more realistic investment return assumptions. Most plans estimate their assets will earn between 6.5 and 8 percent every year. For the last two years they have earned 3.6 percent. Still another option is to increase employer and worker contributions to close the gap. Some states have already implemented these (i.e., Wisconsin), but they haven’t closed the gap. According to Pew, only 14 states are contributing enough to start closing the gap, known as net amortization. But the temptation to increase their plans’ allocations to stocks could just be too much to resist. With the Trump rally tacking on double-digit returns just since November, plan administrators could decide to increase equity exposure by five or ten percent. That’s the problem facing them. Thanks to decades-long overgenerous interest assumptions and political pressure to increase benefits without funding them adequately, they are faced with the new reality: no place to hide, no place to invest, and the clock ticking away as those plan beneficiaries retire, expecting their check, as promised. What’s worse is that many of them no doubt subscribe to Lombardi’s newsletter. This entry was posted	on Tuesday, April 25th, 2017 at 5:07 am	and is filed under Economics, History. You can follow any responses to this entry through the RSS 2.0 feed. You can leave a response, or trackback from your own site.